Moving house can be stressful and complicated with what can seem like a mammoth task. 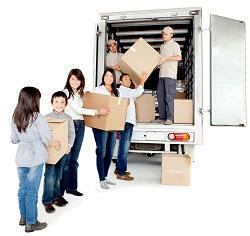 A lack of resources and time are cited as the two principle reasons for the hassle of moving. Another key stress is that, frankly, most people do not enjoy the packing, transporting and unpacking process, favouring the more exciting parts of house moving such as designing the new home and decorating. Well, that’s where we can help. Packing, transporting and unpacking is something we do best and most of all we enjoy what we do. We make the home relocation as smooth and effortless as possible, saving you time and energy to make the significant moment of moving to a new home as enjoyable for you as possible. That’s why we at East London Removals are just a phone call away on 020 8746 9685 to assist you in enquiries you have about our home removal services. A key to our success in domestic removals is our collective years of experience in house relocations that we translate into value of service for our customers. Customer satisfaction and exceeding expectations is what lies at the core of our business and is reflected in all our work. Regardless of household size, our team of professionals is on standby to cater for all your house removal needs from the moment you call us. We start with an evaluation of your property to understand the size of the move to help us plan the size of the van that your belongings will need and how many members of our team will assist in the move. Once we have planned the logistics of the move, we plan it around the days that are best for you whilst keeping total flexibility in any last-minute changes that you may require. We also provide additional assistance with tips on how to pack, a checklist of things to do, advice on packing and suggestions on the best materials to use. We are there for you throughout the entire house relocation process and will keep in touch even after the move to make sure everything has gone the way you expected. One thing we really understand is the emotional charge that people have to their items. During a house move, the condition of the belongings is a prime concern for any home mover. Our team is well-trained in handling items and packing them in a way that ensures maximum protection. We also have all our moving vans fully insured so in the very unlikely event of an accident, any breakages or damages would be fully covered and compensated. We also offer additional assistance in packing your items so you know that your items have been professionally packed and supported by expert knowledge. Transporting large items can be difficult due to their awkward sizes and heaviness. Often it is difficult to manage these items alone and can be especially frustrating to attempt to get large items such as tables and sofas through narrow corridors and elevators. A team of professionals will have all the expert experience to manage this and will save you the risk of injury, frustration, time and stress. At East London Removals, one of our key expertise lies in home removals. Our team of movers collectively has generations of experience and skills and will assist you throughout the entire home removal process. We take great pride in our work and delivering our promises with excellent customer service and affordable prices. To speak with one of our agents, call us on 020 8746 9685 for a free quote for our house removals service today. EastLondonRemovals are a very competent removals company, they turned up on time, loaded all my bits and delivered it the other end without incident. Needed cheap, quality services for office removals. Man with a Van East London gave me the best price and quality work. I recommend this company to everyone I know. Description: If you’re moving in and around East London, contact us. We will organize your smooth house moving, office relocation and domestic removal in no time.